Sarasota Springfest is set for Saturday, February 16, as fans are invited to attend the free, family-friendly event from 9 a.m. to 1 p.m. at Ed Smith Stadium. 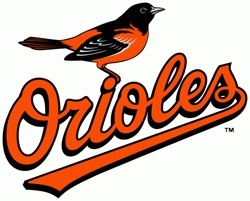 Fans will have an opportunity to watch Orioles players practice on the back fields and enjoy games and interactive activities in the ballpark. This year’s event will include a Q&A session with Orioles OF Cedric Mullins at approximately 12:30 p.m. Fans will once again have opportunities to play catch on the Ed Smith Stadium field, take a behind-the-scenes tour of the ballpark, and participate in a “Pitch for Charity” event to benefit Miracle League of Manasota. For more information, visit Orioles.com/Springfest. That same day also sees the Pittsburgh Pirates Pep Rally in downtown Bradenton, 5-9 p.m. Billed as the start to Pirates spring training, the event is set for Manatee Avenue West and Old Main Street in downtown Bradenton. Admission is free.